The Anthology wallpaper collections offer fresh and creative finishes and textures that will bring definition and style to any contemporary interior. 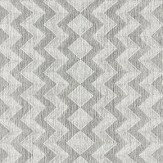 A vinyl wallpaper design, featuring a small scale zig zag pattern, with metallic detailing, which creates a ombre effect when hung. Shown here in the emerald colourway. Other colourways are available. Please request a sample for a true colour match. Pattern repeat is 8.6cm, not as stated below. 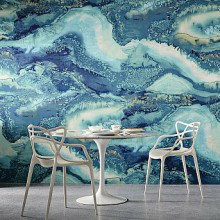 A beautiful beaded wallpaper with a delicate intricate design which has been inspired by marine forms and textures. 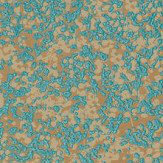 Shown here in teal and metallic gold. Other colourways are available. Please request a sample for a true colour match. A striking vinyl wallpaper design featuring an abstract motif of loosely structured blocks. Shown here in the amethyst colourway. Other colourways are available. Please request a sample for a true colour match. 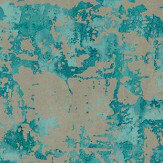 An urban abstract design created to represent the build-up of rust and layered paint, a perfect industrial look. Shown in the Chrysocolla blue colourway. Please request sample for true colour match. Wide width. 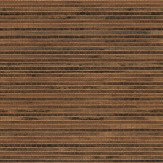 Inspired by the natural design of burr walnut, which has been enhanced by the addition of a ‘wool effect’ emboss. Shown here in the sapphire colour way. Other colour ways available. Wide Width roll. Please request a sample for true colour match. 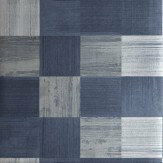 An elegant wallpaper made up of intertwining blocks to create a simple yet striking pattern. Shown here in sapphire. Other colourways are available. Please request a sample for a true colour match. Wide width product. Pattern repeat is 68.6cm. Paste-the-wall product. 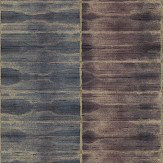 A stunning impressionistic stripe effect on an embossed crackle background in a beautiful combination of colours. 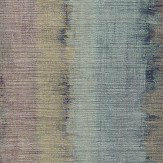 Shown in the Amazonite / Rose Quartz colourway – a mix of blues and pinks. Please request a sample for true colour and texture. 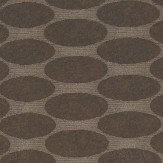 Wide width – long pattern repeat – vinyl. 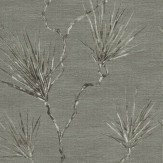 The elegant plain wallcovering Peninsula, printed on a luxury heavyweight, durable vinyl, an Oriental styled palm design overlaid. Shown here in hemp. Other colourways are available. 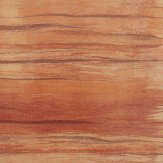 Please request a sample for a true colour match.Wide width product. Pattern repeat is 76.2cm. 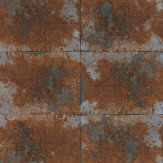 This design is inspired by the natural effect of rust on a tin box. 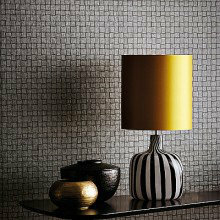 It is then repeated to create a tiled effect and printed directly onto foil to create the metallic effect. 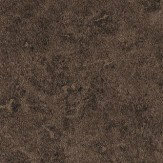 Shown here in the copper/slate colour way. Other colour ways available. Wide width roll and paste the wall product. Please request a sample for true colour match. 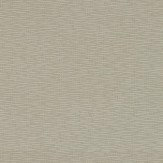 An Eastern inspired design, printed on a heavyweight, durable vinyl, which combines both nature textures and the strength of bamboo, to create a basket weave effect design. Shown here in pewter. Other colourways are available. Please request a sample for a true colour match. Wide width product. Pattern repeat is 68.6cm. 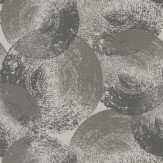 An all over vinyl wallpaper design featuring a pattern which has been inspired by photographed crumpled silk, against a dappled textured background. 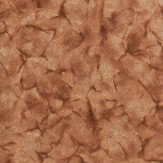 Shown here the copper colourway. Other colourways are available. Please request a sample for a true colour match. 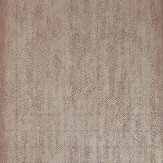 An all over vinyl wallpaper design featuring a repeated pattern which resembles a distressed watermarked wall. Shown here in the copper and gold colourway. Other colourways are available. Please request a sample for a true colour match. Wide width product. 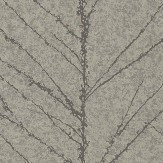 An all over wallpaper design featuring a repeated pattern of silhouetted branches, which when hung creates and elegant vertical stripe effect. 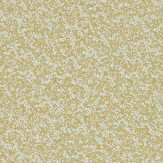 This design has been enhanced with with subtle glitter to produce a lustre effect. 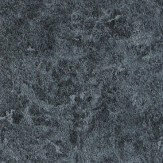 Shown here in the zinc and pebble colourway. Other colourways are available. Please request a sample for a true colour match. Paste-the-wall product. Ellipse derives from a coiled piece of rough string, the imprint of which varies in density. The design is beaded for added glamour. 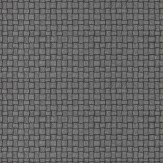 Shown here in the slate/graphite colour way. Other colour ways available. 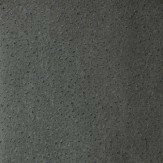 Non woven, but due to the beaded nature of this paper we recommend you paste the paper. Wide width roll. Please request a sample for true colour match. 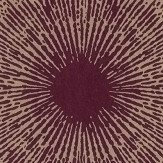 Inspired by the natural design of burr walnut, which has been enhanced by the addition of a ‘wool effect’ emboss. Shown here in the walnut colour way. Other colour ways available. Wide Width roll. Please request a sample for true colour match. 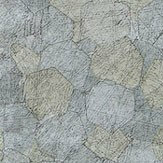 A vintage design, inspired by foxing on old mirrors and metallic surfaces, giving a soft distressed feel to the wallpaper. Shown here in pewter. Other colourways are available. Please request a sample for a true colour match. Free pattern match product. Wide width product. Paste-the-wall product. 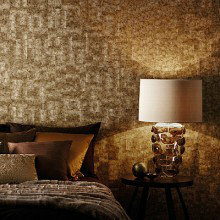 A textured wallcovering featuring metallic detailing. 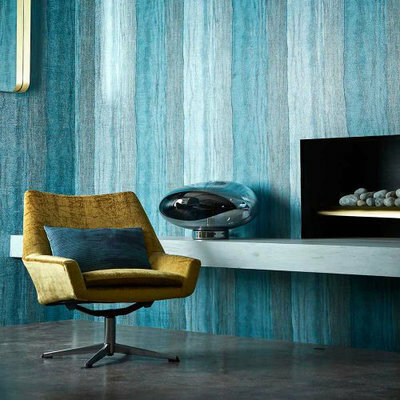 This wallpaper has been designed to look like interwoven strips of leather, which has been printed on a luxury heavyweight, durable vinyl, then further embossed to add to the textural element of the wallpaper. Shown here in pewter. Other colourways are available. Please request a sample for a true colour match. Pattern repeat is 34.3cm. Wide width product. Perfect for creating a boutique look within your home, this elegant new collection is the perfect addition to any interior. All designs are available in a beautiful range of colours, and included beaded, metallic and textured detailing. Please ensure you order a sample to appreciate the true beauty of these papers. This beautiful collection has been inspired by pleats, folding, form and structure. 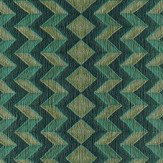 Featuring nine tactile and versatile designs, including beaded, geometric, glitter and metallic patterns, these wallpapers are available in a modern colour palette, which includes deep emerald green and plum, teals and softer metallic neutrals. Please ensure you order a sample to appreciate the true beauty of these wallpapers. Eight statement designs, including a stunning Obsidian wall panel. Taking inspiration from the texture and form of crystals and geological features, this bold, spectacular collection combines some of the most innovative print effects, with striking colours and textures, to reflect its volcanic heart and make a dramatic statement in any room. 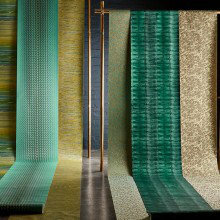 An elegant new wallpaper collection inspired by the concept of construction and deconstruction of woven fabrics. Featuring 8 new wide width designs, this sophisticated collection uses only the most technically advanced production methods, creating opulent wallpapers. 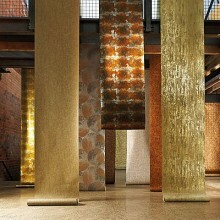 The collection features a vast array of tones, all which feature detailing in metallic, beaded, sparkle and mica. Please request a sample to appreciate the detail and texture of these papers. Your style: loft living, city pad or sophisticated boutique hotel, then this collection is for you. 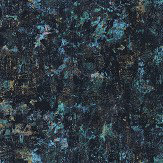 Beautifully crafted, heavyweight wallcoverings with stunning metallic effects, lustre inks and light-catching beads; designs with an industrial feel and featuring metallic tones of copper, quartz and azurite. 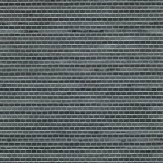 This collection of wide width designs is non-woven for ease of application. This collection complements the first Anthology collection and comprises a selection of urban-inspired designs and glamorous textures, a combination of structural motifs with subtle organic undertones. With an emphasis more on animal skin and grass type textures, creating a perfect background for a contemporary living lifestyle. 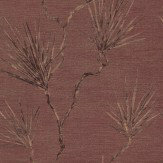 A collection of stunning wide width wallcoverings inspired by exotic yet naturally-occurring textures such as coral and grass. 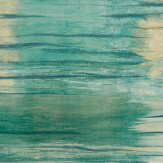 Subtle textures and complex backgrounds conjure up sunlight reflecting on water, elegant grasscloths, sophisticated bamboo and other natural, organic elements. 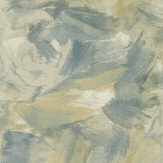 The collection enjoys a subdued palette of earthy and organic tones: raffia, parchment, hemp, slate, sulphur and mineral.